With the re-election of President Barack Obama, U.S. Cuba policy remains in a better position than what would have happened if Gov. Romney had been elected. Regardless, President Obama still has a long way to go to get the ball rolling in a progressive direction to resolve the outstanding U.S. Cuba stalemate and strengthen relations with Latin America as a U.S. foreign policy priority. Arizona - Rep. Jeff Flake (R), United States Senator-Elect - the author of the travel amendment that lifts the travel ban and actually passed the House of Representatives in one of his terms in Congress, wins election to the U.S. Senate. Debates on U.S. Cuba policy will now get more interesting as the issue has a stronger advocate to engage the hardliners and unlike the hardliners in the U.S. Senate, Sen-Elect Flake actually has been to Cuba. California - Rep. Brad Sherman (D) defeats Rep. Howard Berman (D) in the 30th Congressional District. Rep. Berman, a former Chairman of the House Foreign Affairs Committee and current Ranking Member of that committee in this Congress, was once a strong proponent of travel and engagement. Responsible for the Berman amendment that exempted informational materials from the embargo, ie. books, music, and video, Berman lost his footing on the U.S. Cuba issue when he sold out for a $10,000.00 PAC contribution from the pro-embargo U.S. Cuba Democracy PAC. In his last term as Chairman of the Foreign Relations Committee, Berman played lip service to the pro-travel side by allowing an amendment that would have expanded travel fail in committee. Florida - Scandal ridden and ethically challenged Rep David Rivera (R) loses to Joe Garcia (D) in the 26th Congressional District. Rivera was a nefarious hardliner who will not be missed by the moderate Cuban American majority throughout the country. Joe Garcia, now U.S. Representative-Elect, heads to Washington DC next January with a reputation of supporting family travel and remittances to Cuba and people to people travel. Rep-Elect Garcia received support from the moderate Cuban American majority throughout the country. It will be interesting to see how Garcia works this issue as a member of the House. Rep-Elect Garcia's top priorities according to his campaign information are jobs and economic development, healthcare, environment, education, and energy. Pro-Embargo hardliners in Florida, Ileana Ros Lehtinen (R) and Chairwoman of the Foreign Relations Committee; Mario Diaz-Balart (R); and Debbie Wasserman-Schultz (D) and also Chairwoman of the Democratic National Committee all re-elected. In the Florida U.S. Senate race, Rep. Connie Mack (R) another embargo hardliner lost his race to Senator Bill Nelson (D), who was re-elected. Senator Nelson, while not a proponent of lifting the travel restrictions either, is not as strident as Mack would have been. Mack's neoconservative vision of foreign policy in Latin America was very much disconnected to the reality of the region. Lets hope that Mack will actually travel as a private citizen to the nations he was so critical of while in Congress. In an interesting related development, Rep. Mack's wife, Rep. Mary Bono Mack (R-Ca) also lost her re-election to the U.S. House of Representatives. This husband-wife congressional couple are now both out of their federally elected positions. Montana - Rep. Dennis Rehberg (R) loses to Senator Jon Tester (D) in the U.S. Senate race. Rehberg is another politician who sold out and changed his position from being pro-travel (Rehberg had visited Cuba as a Congressman and promoted the food trade with the island) to being pro-embargo. Rehberg also received $10,000 in PAC contributions from the pro-embargo U.S. Cuba Democracy PAC. New Jersey - Hardliner Senator Bob Menendez (D) re-elected. Hardliner Rep. Albio Sires (D) re-elected. A possibility exists that Sen. Menendez may be elevated to Chairman of the full Foreign Relations Committee in a scenario where Senator John Kerry replaces Hillary Clinton as Secretary of State if she retires. Texas - Cuban American conservative Ted Cruz (R) elected to the U.S. Senate. Senator-elect Cruz is expected to support the hardline travel restrictions and embargo and work closely with Senator Marco Rubio (R-Fl) on this issue. Given that lifting the travel ban and ending the embargo each require an Act of Congress to make into reality, a sharp political focus needs to develop by the pro-travel/engagement side in this next Congress. Or nothing will change. Think tanks and non-profit groups respectfully cannot resolve the U.S. Cuba political conundrum. Only votes and money will. Do not expect greater loosening of travel restrictions beyond the status quo as long the U.S. Cuba political configuration in the Congress remains as it is now. The Obama administration needs to resolve the Alan Gross and Cuban Five matters now as these are the primary human stumbling blocks to a pathway of improving relations between the two countries. President Obama also has a historic and Nixonian opportunity in his second term, to be the first sitting American President to visit Cuba. After more than fifty years of a failed U.S. Cuba policy and relying upon a flawed and yet to be revealed biological solution-waiting for the Castro regime to die, it is time to try to something different, more intelligent and rational. 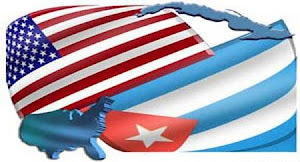 Suffice it to say the next two years should be interesting times in the area of U.S. Cuba policy and relations. While we do not want to discourage political activity, it is important to understand that signing a petition is the least impactful way to get an elected official's attention.What is required by Cuban-American moderates and other Americans who favor normalization and travel for all is to a take a page from the opposition's political activities -raising money and being a cohesive voting bloc. Political money must be raised and contributed to a PAC that will support electing candidates in favor of travel and ending the embargo; and second - those Cuban-American moderates need to coalesce into a tangible voting bloc, not the amorphous Cuban American vote that voted for President Obama when it is still not clear why they gave their votes to President Obama and where U.S. Cuba policy fit into that calculus. Remember Governor Romney still got the majority of the Cuban American vote - 52 to 48 for President Obama. It will require an Act of Congress to lift the travel ban to Cuba. It will require an Act of Congress to end the embargo. So where do you think the majority of your political efforts must go?